It's important to monitor your lawn for insect pests, as this is the only way to determine if insects are causing damage. Confirm that insects are present at numbers high enough to cause damage by digging around roots looking for grubs or performing a drench test for other insects. 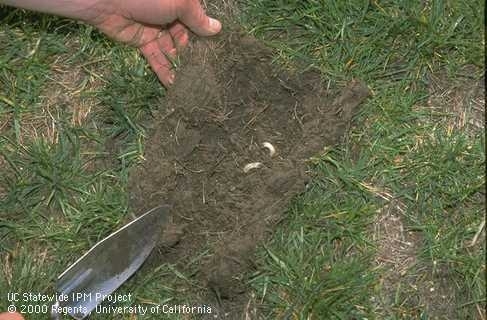 Learn more about monitoring by reading the Lawn Insects Pest Note or Quick Tip on the UC IPM website. 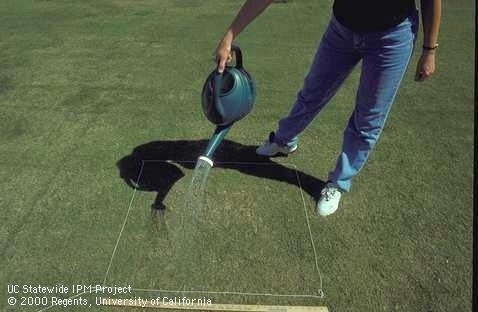 See the UC Guide to Healthy Lawns for much more information about diagnosing pest problems, proper lawn care, and how to keep your lawn healthy.